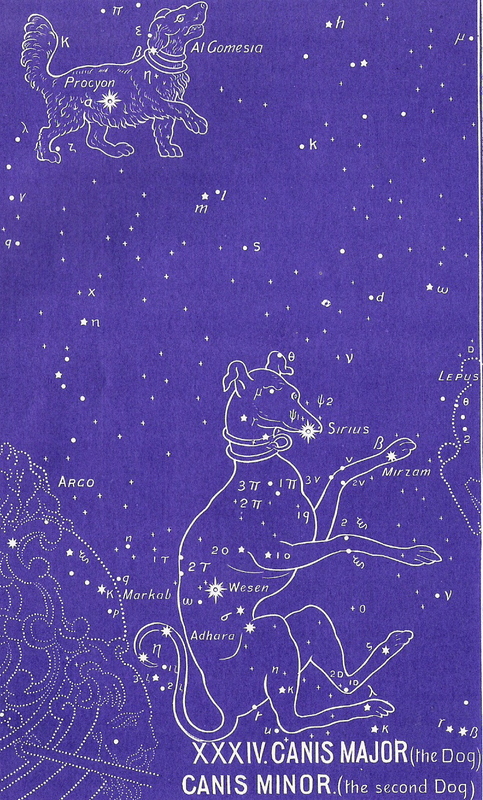 The old myths always associate this as the “Dog of Orion.” Orion is seen as its master and friend. This constellation was worshiped by the Egyptians who regarded this dog as the fastest of all dogs. In fact, the star names do associate this dog with Orion. But this is not a pet or friend of Orion’s — in truth, it is another picture of our Lord. It is one of only a few pictures in this star revelation where the Lord Jesus Christ is represented entirely by an animal. There is a fascinating fact from astronomy concerning this constellation as well. The star Sirius is located in this sign. This star is truly one of the most beautiful in all the heavens. But the fact that it had a companion star was completely unknown until the discovery of the modern telescope. However, there is an interesting mystery concerning this star and a tribe native to the Republic of Mali called the Dogon tribe. This tribe has had very little contact with modern science, if any at all, until only very recently. However, anthropologists have made an astounding discovery that these people have apparently known for many centuries that this star Sirius did indeed have a companion! They have preserved this knowledge in their religious legends, and there is no doubt that they knew of this star for many centuries before the first telescope was invented. Of course, a theistic approach might provide many interesting and viable possibilities, including a “cultural memory” from the age of the “shepherd kings” who may have known this fact and many others as well. They were said to be men of wisdom and power far beyond anything that is known today. This companion star, by the way, is an amazing star which has a density 5000 times that of lead. Here is the picture of the greater dog leading the ship Argo. As we will discover in a few more signs, Argo represents The Church. So, we have Sirius, “the prince,” leading Argo (the saved of the earth). The chapter of provision continues in this sign with a portrayal of the King as the Glorious Prince of Peace. The star names tell the story even more completely. Here is the One whom Isaiah spoke of when he said that “his name shall be called Wonderful.” This is the picture of the omnificent King to whom all the earth brings its honor and tribute. Here is the Kingdom in which the Light of the World dwells! He is all-glorious, and His Kingdom is a throne of righteousness forever! Pay careful attention to the meanings of the names of the stars. They will ALWAYS back up the message in The Gospel Truth above. To continue in the correct order of the ancient star chart, please select Canis Minor next. Be sure to download your copy of the Free e-book that discusses the cultural, historical, and biblical evidences of this amazing star revelation.